Dave is a British TV channel with 145 programs to watch online. That's more than 4,007 hours of playtime! Recent popular programs include Top Gear, Hypothetical, Lazy Boy Garage, Undercover and Not Going Out. Catch Up on Top Gear and watch online. Missed an episode of Top Gear, broadcast by ? Catch Up on Hypothetical and watch online. Missed an episode of Hypothetical, broadcast by ? Catch Up on Lazy Boy Garage and watch online. Missed an episode of Lazy Boy Garage, broadcast by ? Catch Up on Undercover and watch online. Missed an episode of Undercover, broadcast by ? Catch Up on Not Going Out and watch online. Missed an episode of Not Going Out, broadcast by ? Catch Up on Uncle and watch online. Missed an episode of Uncle, broadcast by ? Catch Up on James May and watch online. Missed an episode of James May, broadcast by ? Catch Up on Go 8 Bit DLC and watch online. Missed an episode of Go 8 Bit DLC, broadcast by ? Catch Up on Live at the Apollo and watch online. Missed an episode of Live at the Apollo, broadcast by ? 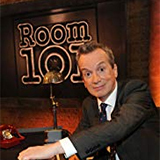 Catch Up on Room 101 and watch online. Missed an episode of Room 101, broadcast by ? Catch Up on The Last Man on Earth and watch online. Catch Up on Taskmaster: Champion Of Champions and watch online. 22:00 Would I Lie to You? 22:40 Would I Lie to You?